A mixed-use four-storey red brick building benefits from a prominent location in uptown Calgary with an abundance of surrounding amenities and on-site facilities of the very highest professional and technological standards. As well as executive suites and co-working areas there is also a stylish patio area and a contemporary lobby to impress your clients and provide a strong level of prestige within this vibrant and engaging workplace. Situated in downtown Calgary, close to many amenities including restaurants and shops, this modern office building offers light, spacious accommodation for up to 100 persons. This is a stylish and comfortable workplace, ideal for your business. Office suites are available from one to 100 people. There is also provision for availability in spacious and collaborative co-working space present at this location too. These recent-build light and spacious executive suites feature unparalleled views of Calgary’s mountains and city skyline. Comprising contemporary furniture, luxurious boardroom, cutting edge equipment, onsite fitness and day-care centres and free secure parking, these offices to lease go above and beyond meeting all modern business requirements. They are superbly located just off Highway 1 East with easy access to the downtown core and airport. This functional modern business centre provides a range of offices as well as a variety of other facilities. This centre is situated the southeast of Calgary, close to shops, coffee shops and other businesses. Virtual office packages are available with support and assistance as your business needs change or grow. These rates are all inclusive, meaning there are no additional charges at the end of the month. This innovative and engaging modern workspace is a vibrant working environment, ideally suitable for those professionals in search of a unique and contemporary office setting. Fully equipped with some of the region's very best and most sophisticated corporate provision including spacious meeting rooms, technical equipment, conferencing facilities, high speed internet connectivity, on-site management and more. Set in a landmark business centre in downtown Calgary, these beautiful executive suites are perfect for any size company. Onsite conveniences include a fitness centre, cyber café and cutting edge technology. Clients are only steps away from shopping centres, restaurants and numerous transport links. The regional transport links are also excellent, with frequent and convenient services in operation throughout the locality. With simply magnificent views of the Bow River and Rocky Mountains, Sun Life Plaza is an ideal location for any organization. Each executive suite is equipped with cutting edge technology and equipment. In Calgary’s Central Business District, clients benefit from easy access to the surrounding areas. The center itself is easily accessible and benefits from the excellent travel options provided by the locality's infrastructure networks. Offering direct connection to the Plus 15 walkway and the area's very best in local services, amenities and excellent transport links; this prominent 32-storey office tower provides modern and professional office space centrally located between the CORE Centre and Eau Claire Market in the most vibrant district of the city. The surrounding area is made up of a dynamic mix of companies in industries ranging from communications to energy. This professional business center is located in the heart of downtown Calgary. Tenants will love all that this center has to offer, including the serviced offices and coworking spaces. Membership perks are generous in offering unlimited coffee and tea, generous boardroom allowance, printing/copying, wifi, and a variety of other services and amenities. This center creates an atmosphere where you can thrive. Offering an excellent selection of furnished executive suites in a range of sizes, this business development is conveniently located in Bow Valley Square and is representative of some the region's foremost and most sophisticated corporate office space provision. Clients benefit from cutting edge technology and the latest equipment. Convenient to the Petro-Canada Centre and all amenities in the local area. This premier and executive business address provides direct access to the Plus 15 walkway in downtown Calgary, which provides convenient and easy access to both the central amenities of the city and some of the most popular sites the region has to offer. The striking two-tower complex provides a home for this business centre which in turn provides a range of meeting rooms, shared and private office space, as well as regular networking and client appreciation events. 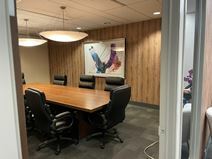 This building provides an established business professional management team that has worked to create a space that was designed to help your business grow. This center offers an ideal location for clients and their guests, offering convenient access to many local restaurants, shopping centers and local transportation. Flexible leasing terms and pricing packages are offered to ensure your office chooses the right plan. Providing an abundance of natural light and sleek design, these executive suites situated in downtown Calgary present clients with a distinctive professional working environment. All of the city’s major transport links are within minutes’ of this contemporary business center. Onsite, all occupying clients receive use of the most advanced technology and modern conveniences available, making this business location the ideal professional working environment. Situated to provide unrivalled views of Calgary’s Bow River and the surrounding area, these contemporary and plush executive suites encompass all modern business requirements. With state of the art technology and refined design, these offices to lease are an ideal choice for easy access to the downtown core. Excellent transport links are only seconds away. Within a stylish, postmodern skyscraper in the heart of Calgary's main commercial core, this flexible office space is surrounded by a diverse range of companies from a multitude of booming industries that include oil and gas, banking and insurance. Ideally situated right by a C-Train station for quick and easy access to the whole city, this center is the ideal location for commuters and local occupants alike. This building is locate din the heart of Downtown Calgary, placing it nearby many of the areas local restaurants, shopping centers and activities. This private office offers access to a long list of amenities for its tenants, separating itself from the competition. 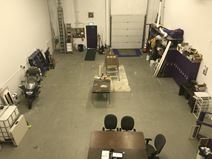 This office space in Calgary is perfect for a small business team looking to grow. This office will accommodate your office needs and can adjust to make sure that your space is perfect. Providing a significant amount of the area's leading and foremost premium office space with the top floors providing stunning and uninterrupted views over the Rocky Mountains and Bow River, this professional business center has four floors of fully furnished and self contained executive suites and private offices, along with co-working areas in the northeast corner of downtown Calgary. The area also features a wide range of excellent transport links and travel services, making the center easily accessible via road and rail networks. Situated within an iconic landmark office building in the central and vibrant district of downtown Calgary, this sleek and stylish contemporary business center enjoys direct access to the Plus 15 Skywalk, as well as extensive shopping and amenities. The building has secure parking provided on site and offers direct access to a multitude of public transport links, and the airport is less than half an hour away. Only minutes from the University of Calgary and some of the most historic and premium sites in the city, in the northwest corner of central Calgary this prestigious address has stunning views of downtown Calgary, the world famous Rocky Mountains and the Canada Olympic Park. Secure underground parking provision is available and complements the fully furnished executive suites and open-plan office space. This business center enjoys a suburban Calgary location, and provides high quality office space. The building is also home to retailers and service businesses, and is just across the street from a great selection of stores and restaurants. The regional transport linkis are also fantastic and offer all prospective business tenants with a wide range of convenient and frequent transportation options throughout the locality. This modern shared office space has a great central Calgary location that provides easy access from all quadrants of the city and benefits from the area's significantly frequent and highly convenient transport links, which offer excellent services throughout the locality. The building itself provides vibrant and stylish workspace ideal for a growing company that isn't quite ready to commit to a long-term real estate deal. Serviced office space is now being offered close to the Chinook Centre offering easy access to and from the facility with ample parking. This facility offers fully furnished offices with mail and telephone services. Also includes kitchen and reception services with offices offered with high speed internet. Recently renewed to a high standard, this business centre consists of furnished office spaces equipped with lifts, conference centre, meeting rooms, lounge areas and parking facilities. The business centre offers a highly professional working environment, which will definitely enhance the image of your company. It is located just off Calgary's city centre, next to the largest shopping centre of the city and is served by the major roadways and by numerous public transport services. Presenting Calgary’s premier Class-A range of furnished executive suites only minutes’ from downtown. Multiple benefits of this tasteful building include onsite parking, advanced security, state-of-the-art computerized phone system and high speed internet. These offices to lease are conveniently located near the C-Train station, various other transport links, and great selection of gourmet restaurants. Presenting a collection of light and spacious suites that come fully furnished and technologically equipped for complete professional support. Cutting edge technology runs throughout this impressive business centre including videoconferencing and high speed broadband. Additional luxuries include coffee lounge, outdoor terrace and dedicated administrative staff. These offices to lease offer a superb location just minutes from downtown, public transport links, and right next to a vibrant development with fine dining, entertainment and fitness establishments. Superbly located next to Mount Royal College in Calgary’s most prominent commercial business district, these Class A executive suites come sumptuously furnished and fully equipped with the latest technology. Secure underground parking, excellent transport links and a huge range of amenities nearby are only a few of the benefits on offer. Clients also get spectacular views of downtown Calgary and the mountains.